How can I start this? I am writing about the most important man in recent times. The world’s most famous ex-prisoner. 46664. The world’s favorite statesman. The world’s best example of personal triumph. My favorite African. Nelson Rolihlahla Dalibhunga Madiba Mandela. Activist. Freedom Fighter. Boxer. Lawyer. Lover. President. This man had seen and done it all. A man whose struggles were closely followed by the eyes of the world. A man who lost everything and got almost everything back. The closest man of our times to the biblical Job. What he went through should have deteriorated his view of mankind. Rather, it enhanced his ability to relate to people. What was done to him could have shattered his dreams but it invigorated him. 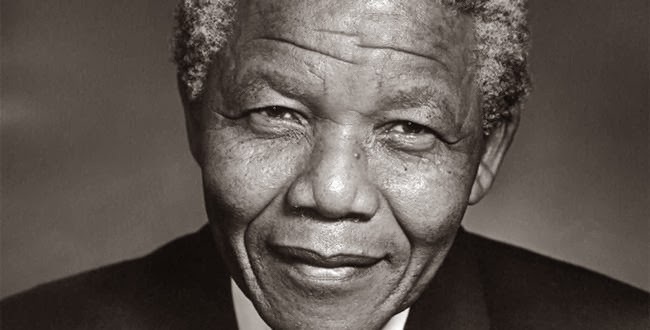 In all recent examples of human success, Nelson Mandela stands out as valedictorian. He was not a victim with vendettas to fulfill; he was a victor with visions to implement. Mandela recognized the brevity and frailty of life; he put that consciousness to great use. He also put his names to good use, fulfilling the Latin proverb, nomen est omen (The name precedes the fame). Rolihlahla means troublemaker, but not the type of troublemaker (like bullies and robbers) who torments his own community. Rather, it stands for being a thorn in the flesh, which Mandela was to the apartheid system. He lived to make injustice uncomfortable. As commander in chief of Umkhonto we Sizwe (ANC’s armed wing), Mandela made sure he undermined the efforts of the South African government in practicing apartheid. He could not countenance the rule of tyranny. To him, freedom was worth fighting for. It was worth dying for. It was the very premise of the human race. Without freedom, it was impossible to live fully and attain one’s potential. Mandela saw how other nations had stubbornly denied their own citizens their freedoms and how that denial had poisoned their body politic. He sacrificed a life of comfort under apartheid for a life of discomfort under freedom. His life is a confirmation that any battle waged in the name of freedom is not in vain. Undo me; naked, unbidden, at Night's muted birth. Mandela is dead but he brings to life many questions that require immediate answers. Questions such as Why do we still tolerate the institutionalization of prejudice in our society?, Why do we make life difficult for people who are not like us? and Why do we care less about the plight of our fellow citizens? His passing is yet another chance for the world to reach solutions for racism, that abhorrent forebear of apartheid. Even in this modern world, the ugliness of racism has managed to steal itself, like a rat, into the ship of progress. We witness nihilistic portrayals of prejudice among the human race. These are facts that continue to battle truths encapsulated in the vision that drove Mandela to become a man everyone wanted to meet. This is a moment of global soul-searching. We cannot claim progress if we tolerate the effluvium of fallacies that surround us: products from years past, long buried just under the surface. We cannot accommodate wrong and allow what is right to exist in difficulty. In the end, it is good that continues to inspire us. Evil might paralyze us, it might even kill us, but the power of good always prevails. For barricaded in iron handiwork a miracle caged. Prince Mensah is a contibuting editor to One Ghana, One Voice. You can watch Prince's video poem for Nelson Mandela here.